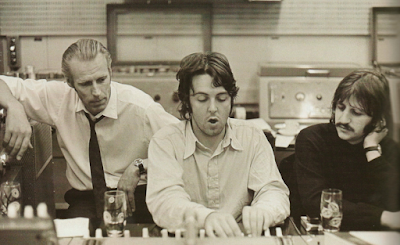 (Sir) George Henry Martin was born January 3rd, 1926 in London, England. Growing up during war times in England the family moved around quite often. He learned piano at any early age picking up most of it by teaching himself. At one time he took oboe lessons & his teacher was Jane Asher's mother. 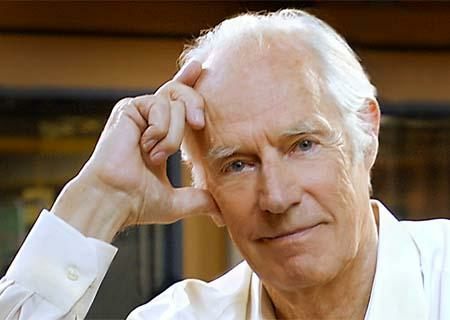 George Martin served in the Royal Navy during World War II. Afterward he attended music school with an interest for classical music. Martin eventually got a job working for the BBC, which led to a position at Parlophone Records a division of EMI. There he worked on comedy records featuring people like Peter Sellers & Spike Milligan. He began to work with music as well & by 1962 wanted to incorporate Rock & Roll into the label. A friend introduced Martin to Brian Epstein who was the manager of the Beatles. After two meetings with Epstein Martin agreed to sign the Beatles, even though he didn't think much of their music although he did like Lennon & McCartney's voices. The first Beatles audition took place on June 6th 1962 in studio Three at Abbey Road studios, without Martin being present. Once again he was not too impressed, especially with original drummer Pete Best. When he asked the Beatles if there was something they did not like, George Harrison quipped " well there your tie for a start. 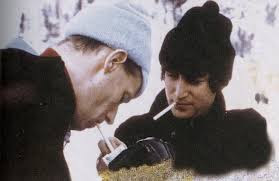 John & Paul eventually joined in with the famous Beatles Liverpool humor & Martin, a former comedy producer enjoyed it. In September the first recording session featured "How Do You Do It' which Martin thought was sure hit, the Beatles did not want it to be their first record because they did not write it. Martin gave it Gerry &the Pacemakers & it was a number one hit for them in England. Eventually the Beatles "From Me to You" would replace the Pacemakers in the number one spot. 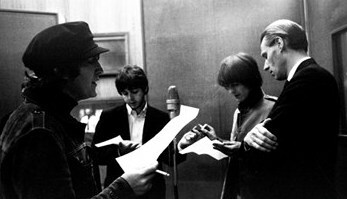 A week later "Love Me Do" was recorded as well. Martin asked that Beatles new drummer Ringo Starr not play on the record & session man Andy White was used instead. 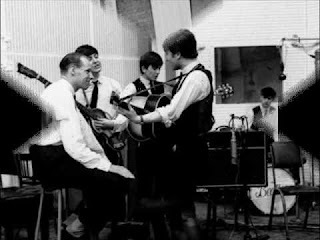 Two months later the Beatles begged Martin to record their song "Please Please Me" which at first was a slow ballad in Roy Orbison style. It was sped up & Martin new they had written their first number one record. The rest is history, the Beatles changed the face of popular music & George Martin was truly the fifth Beatle. He was a huge important part of their success. He gave them the freedom to create, he was open to all the new ideas & recording techniques as their genius could not be denied. Martin would be instrumental in contributing classical music scores to Beatles songs, albums & film soundtracks. He would play piano & harpsichord on certain songs, as well as conduct or arrange scores from outside musicians on to the rock & roll Beatle songs. 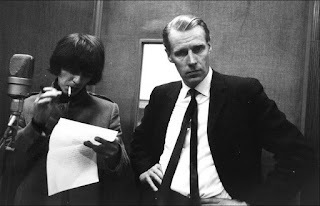 George Martin is credited with 23 number one hits in America & 30 number ones in the United Kingdom. He has produced 19 number one albums in North America & 16 number one albums in the UK. 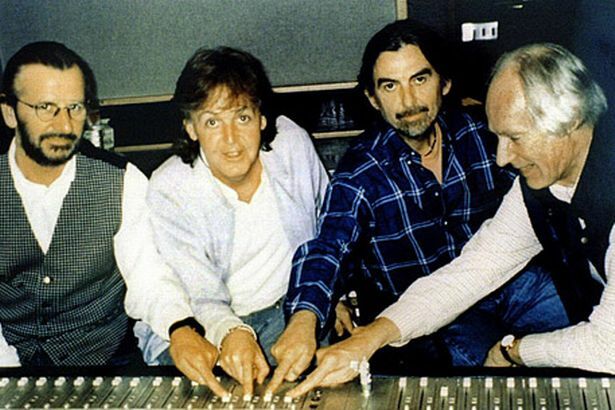 Martin oversaw the production of the Beatles Anthology in the early 1990's. Besides his work on the Beatles albums & records, he worked with Paul McCartney Wings (Live & Let Die) a number one single. He also produced that film's score & produced James Bond's Goldfinger title track with Shirley Bassey. Martin produced Paul McCartney's solo albums Tug of War, Pipes of Peace & Give My Regards to Broad Street which featured the number ones; Say Say Say (with Michael Jackson) & Ebony & Ivory (with Stevie Wonder). He also worked on Ringo Starr's Sentimental Journey album. 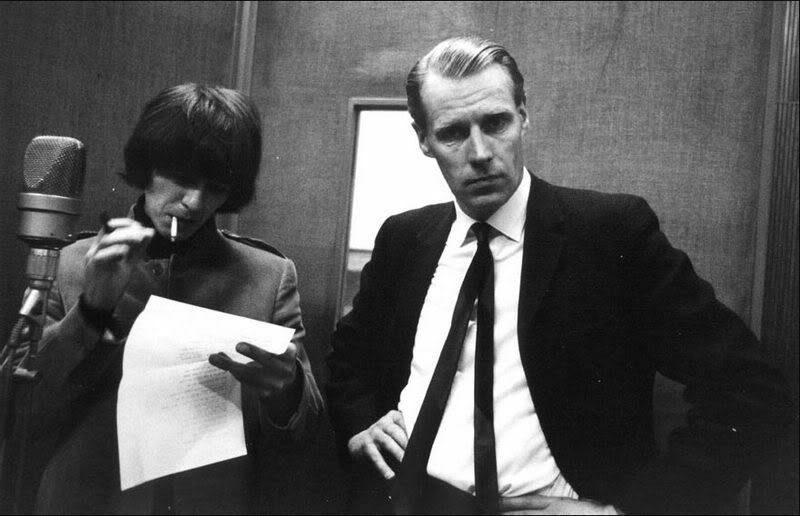 George Martin has also produced the band America with the hits Sister Golden Hair (#1) Tin Man & Lonely People. Martin also produced Elton Johns #1 Candle In the Wind, the tribute to Princess Diana. 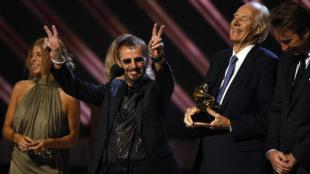 He won a Grammy for Best Musical Show album with the Broadway production of Tommy with Pete Townshend. He & his son Giles put together the remix of Beatles songs for Cirque du Sole's Love in 2006. Other artist he has worked with include Cheap Trick (1980), Jeff Beck, Gerry & the Pacemakers, Billy J. Kramer & the Dakotas, Cilla Black, Neil Sedaka, Kenny Rogers, Celine Dion & Gary Glitter. Martin was married twice & has four children.He published a book called All You Need Is Ears (1979) & A Little Help From My Friends- the Making of Sgt. Pepper (1993), In 2011 a 90 minute documentary about him called Produced by George Martin was released to critical acclaim. His death was announced on Twitter by Ringo Starr, "Peace and love... George will be missed." Martin was 90 years old. 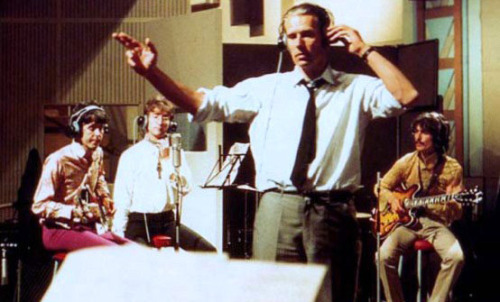 Sir Roger Moore wrote: "How very sad to wake to the news Sir George Martin has left us. He made my first Bond film sound brilliant!" Thank you George for all your works!